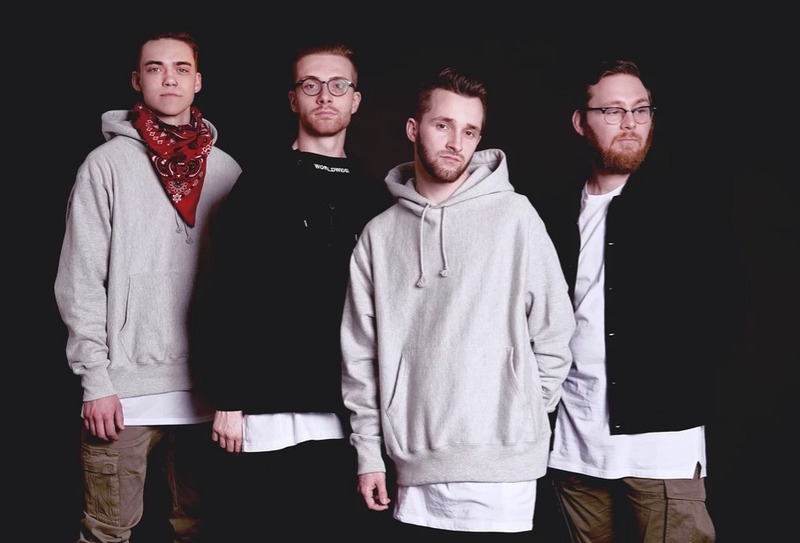 We connected with Lexington, Kentucky based pop-rock band Rags and Riches (Tanner Whitt, Peyton Whitt, Gabe Adkins, Seth Shirley) for an exclusive interview to discuss their very DOPE new single/video “Speed of Sound”. We also talk to the guys about the origins of the band’s name, the music scene in Lexington, whether we can expect to hear “Speed of Sound” on an upcoming project, and much more. After reading our Q&A with the band, be sure to stream and share the “Speed of Sound” single, and connect with them on their website and social media. Tell us about the name of the band "Rags and Riches"; what does it mean? RAGS AND RICHES kind of just happened. Peyton and I (Tanner) were driving over two years ago and all of the sudden it hit me "RAGS AND RICHES" because we are all equal no matter what walk of life we come from. We felt it fit behind everything we are as a band and what we want our fans to feel. Congratulations on the release of your new single and video "Speed of Sound". What initially inspired you guys to write and record that song? Thank you! We really wanted a song that would connect with everyone and "Time" is something that is always on everyone's mind. Personally, I feel as if life moves so fast and its hard to grasp it. It's an anxious feeling of being "in the moment" but also ready for what's next. How did you connect with Heather Watson, the director of the video, and come up with its very cinematic, dystopian treatment? Heather Watson has been a dear friend to us for quite sometime. Her husband Shelby Watson and her have been a major part of the process for us. He connected us with the AMAZING editor as well, Zachariah Haske. The video is just a small glimpse of what the future music videos hold. We have a giant story line that goes into great detail moving forward. What's next for the band now that "Speed of Sound" has been released? Will it be featured on an upcoming EP or album? We have five other singles that will all follow with a music video. There are other future songs/EP's/Albums to come but, the first five is all we can discuss at the moment. Describe for us the music scene in Lexington for bands such as yours. Would you say that locals are supportive of native talent? Are there a lot of venues to perform and grow your fan base? The music scene in Lexington is saturated with Country, Folk, and Singer-Songwriter vibes. The local scene has been supportive and is liking it more and more! There aren’t a ton of venues in Lexington but, there are plenty of venues within the three hour radius of Lexington (Louisville, Cincinnati, Columbus, Bowling Green, Nashville).